Setting up is the final adjustment of the violin. It affects the pegs, the nut, the fingerboard, the bridge, the soundpost, the tailpiece and tailgut. The aim is to make the instrument as easy to play as possible and get the best tone from it. Many general music shops just take a basic student instrument, fit the bridge as supplied, tune the violin and hand it to the customer. Often the strings are too high, the pegs don’t turn easily or slip, the bridge curve is too flat and the poor student spends most of their time fighting with the instrument rather than enjoying their playing. Older instruments need to be checked occasionally too – wood changes with time – pegs get sticky, action height changes, bridges warp. I recommend getting your violin checked over every 12-18 months. Check the pegs. The pegs are checked to make sure they fit their holes and turn smoothly. If they are not completely round the pegs may need to be shaved or the holes reamed out slightly. In extreme cases (normally only on antique instruments) new pegs may be needed, or the hole might need to be bushed. Fit new strings. Setting up has to be done with fresh strings. If you keep a supply of spares, or want to provide a new set yourself that’s fine, otherwise I can provide them for you. Check height of nut. 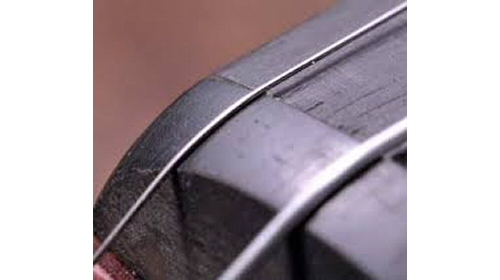 The nut on new violins is usually too high, making it hard to press the strings down, which can be very painful on the fingertips, so the nut grooves are filed down to set the strings at the optimum height from the fingerboard. Check bridge. For sound to be transmitted effectively the feet of the bridge must fit the curve of the belly exactly. 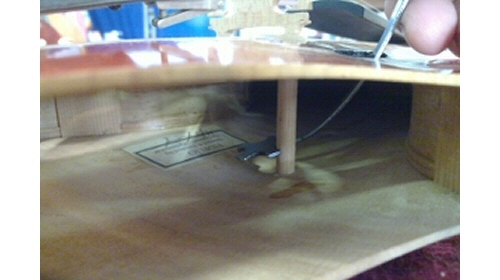 In addition, the bridge must hold the strings at the right height over the fingerboard, and have the correct curvature. 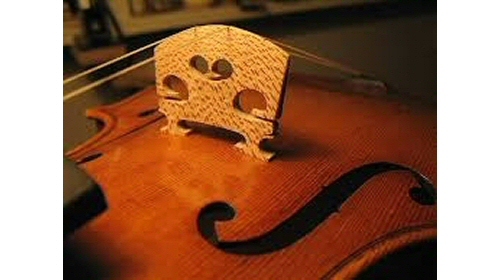 Thankfully new violins are almost always supplied with a bridge that is too high and too thick, so it can be trimmed down to the right size, but if the bridge is too low or too thin the only option is to make a new one. Check tailpiece and fine adjusters. The fine adjusters are checked and lubricated with very light oil. 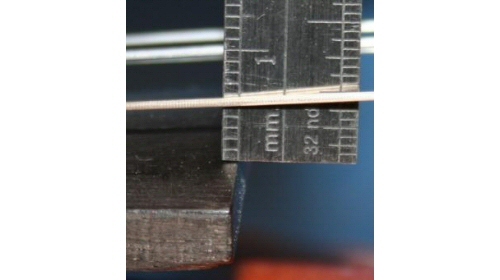 The distance between the bridge and tailpiece has a bearing on the sound of the instrument, so this is checked and the length of the tailgut that holds the tailpiece is adjusted if necessary. Adjust soundpost. This is the probably the most critical procedure. The fit and positioning of the soundpost is a huge factor in the tone of the violin, moving it by just a millimetre or so can completely change the sound of the instrument. I will spend some time moving it about to find the ‘sweet spot’ so that your violin leaves the workshop sounding as good as it possibly can.